But are you wondering if you are up to the task of throwing an awesome birthday party at home? As a Mom of 6 kids, I have thrown my fair share of birthday parties over the years. I have taken everything I've learned and written this one-stop resource so you too can create a special day for your birthday girl or boy, and enjoy the planning process as well as the party! From choosing a theme, planning activities and games, and sending your guests home with a great party favor- we can do all of this for less than $100! 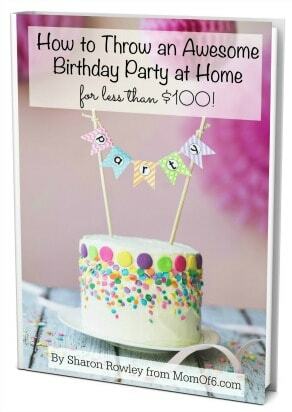 I've got everything you need to pick a theme, pick a date and determine your guest list, plan your activities, and make your party fun and special for your birthday child- all while sticking to your $100 party budget! 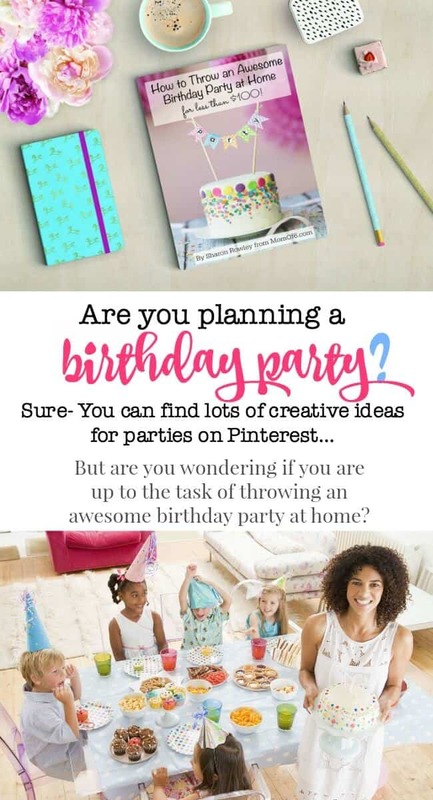 Packed with resources, ideas, and checklists- this ebook has everything you need to plan a fantastic birthday party at home!